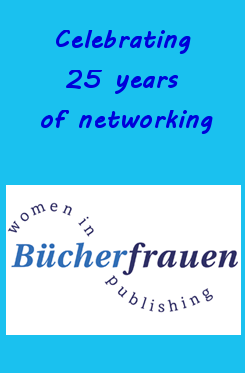 It’s Women in Publishing (“Bücherfrauen“) Germany’s 25th anniversary this year. There is a big celebration coming up at the Frankfurt Book Fair this week, and here is my tribute to this great network. Women in Publishing’s motto is: “For women, but not against men”. The network was founded because there have always been a lot of women working in publishing, but in the beginning there was no woman at all at the top and even today there are still not that many. First of all thank you Marlies for telling me about the network in the first place. Thank you also to my first small local group in the North-West of Germany in the Bielefeld/Osnabrück area about 15 years ago for welcoming, inspiring and motivating me to follow my passion. Thank you to Inge, who was part of the group and introduced me to a big publishing house. And Inge did a great job last year editing “Pentecost”, the first self-published book that I translated into German. Thank you to Eva for offering to let me sleep on her couch in Frankfurt this year in case I wouldn’t find any other place to stay – it is a shame I can now not make it, but I hope I will be able to attend again next year! Thank you to everyone whom I have met during all these years. And when I moved to London, it was only natural to join the sister organisation Women in Publishing in the UK – I was part of the committee here for several years and it was great to make new friends and continue networking in a different country, but in a similar way. Here’s to everyone who has contributed to making the organization a success. Happy birthday and cheers to you all! 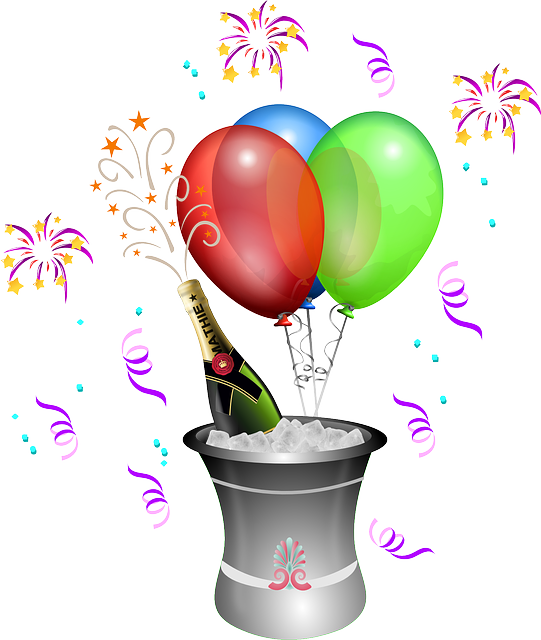 There will be an award ceremony for the “Woman in Publishing of the Year”, the prize goes to Frauke Ehlers, long standing member of the network, the laudatory speech will be held by Silke Weniger and a welcoming speech by Federal Minister Manuela Schwesig, followed by the actual party. A talk with Indonesian Women in Publishing about literature and the book trade in Indonesia – the country is the Fair’s guest of honour this year. The LiBeraturpreis is the only German literature prize that is awarded exclusively to women from Africa, Asia, Latin America or the Arab World. In 2015, Madeleine Thien will receive the award for her novel “Dogs at the Perimeter” (German title: “Flüchtige Seelen”, Luchterhand 2014, translated by Almuth Carstens), which deals with the repercussions of the terror regime of the Khmer Rouge. And if you speak German, you may like to read another tribute to Buecherfrauen, written by German author Nina George. Filed Under: Book Fairs Tagged With: networking, typical female?